RAW. Such a small word with so many interesting connotations. Some like it raw. Some do not. Is it healthier? Well, that depends on what we're talking about. Let's just put aside what you think I'm saying and get to what I'm saying. Raw food. 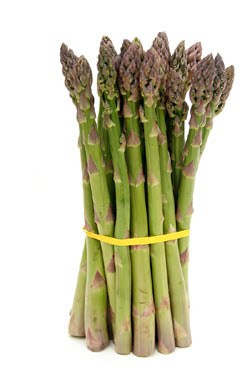 In particular, I would like to focus on raw asparagus. So there you are, walking into Trader Joe's because you're a crunchy hippy, a health nut, grape nuts-loving, almond milk-drinking, naan-munching, new age organic enthusiast and you bee line it straight to the fresh produce. In front of you are a plethora of options: arugula, kale, artichokes, assorted peppers, and asparagus. Some of the asparagus was grown locally, the cheaper stuff was trucked in from Mexico. You're a cheap sack, so you buy the Mexican stuff, saying to yourself that you'll rinse it thoroughly before eating it. But you can't see yourself eating straight asparagus, so you grab some broccoli spears and assorted veggies that you would find on a event platter at the end of the event because the ranch dip ran out and prior to that the cookies and good stuff ran out. But you need dip as well, because this whole raw thing is just not going to fly otherwise. You know yourself. Snacks can't taste like tree bark or the front lawn and expect to be eaten. So you go to the hummus section. You see varieties with red pepper, chives, cilantro, garlic, and anything else you can imagine to make smashed up chick peas and lemon juice not taste bland. You grab two things of hummus that don't sound too terrible. Then you continue shopping, check out and go home. And you eat your raw asparagus. Did you rinse it? Did an amoeba eat your brain already? Ok, yes, you rinsed it. No amoeba. The asparagus is gross. The hummus makes it worse. Yet, you continue to eat it. Weirdo. Who does that?